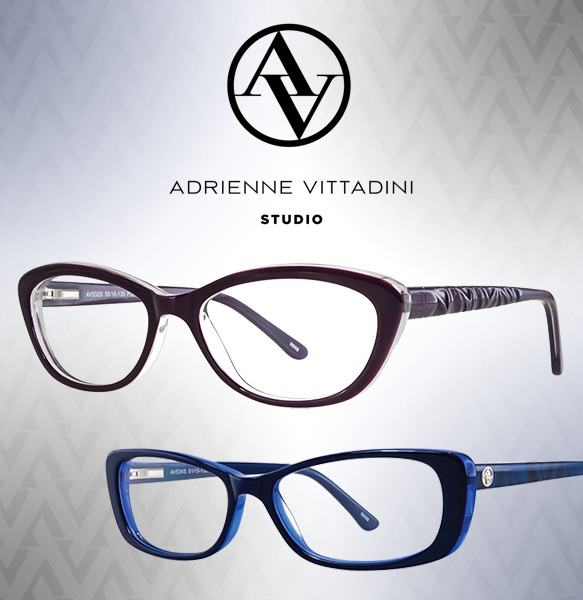 Youthfully chic embellishments, unexpected hues and textures, and fun, flirty styling provide a sassy new take on modern refinement when it comes to the latest Adrienne Vittadini Studio specs! Focusing on eyewear that’s especially suited for petite faces and dainty features, these glasses prove that good things absolutely do come in small packages! Sly cat-eyes and soft rectangles can be dressed up for an elegant look, or casually worn with more relaxed garb. Meanwhile, a slew of alluring details—from two-toned accents, to marbleized patterns, to debossed ruched patterns, to whimsical pops of sparkly glitter—makes these rich navy- and eggplant-colored frames truly pop! Ladies, love what you see? Get even more deets here.